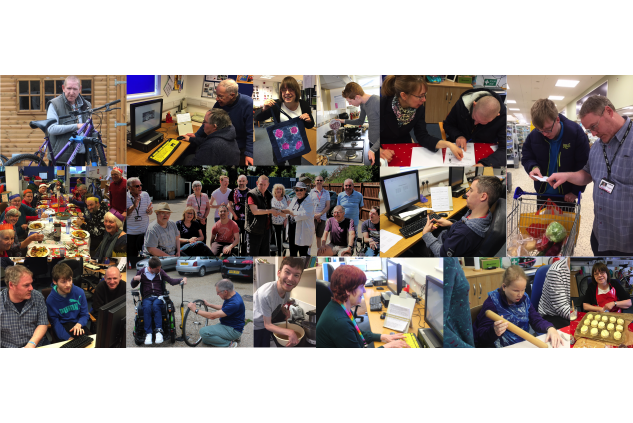 Camtrust works with adults with disabilities, providing training, education and life skills. Camtrust has a range of programmes for adults with physical disabilities and learning difficulties - training in IT, internet safety, bike refurbishment, work experience in the local community, numeracy, literacy, baking, cooking. As well as giving the clients a safe, nurturing environment in which to realise their potential, coming to Camtrust can relieve social isolation and enhance their mental wellbeing. Our donate refurbish and re-sell bike project gives clients a chance to learn new skills and meet members of the public.The local community benefit from buying bikes at low prices and from a repair service. Local volunteers work at Camtrust and we are supported by the community at our regular pop-up sales. Our social enterprise Print and Design service offers reasonably price copying and printing. Camtrust volunteers help the adults with disabilities and learning difficulties in their learning and at lunch.